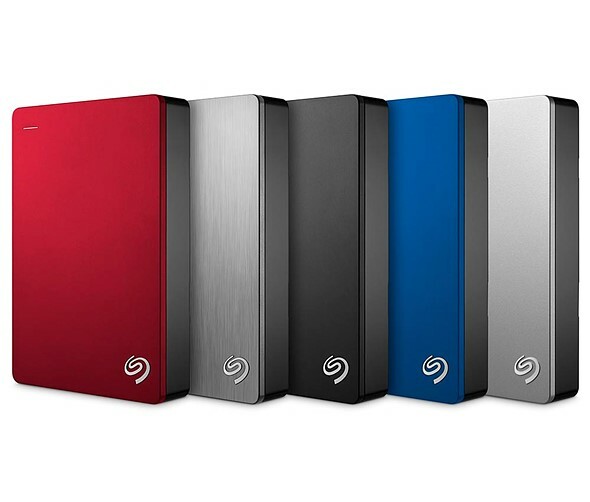 Seagate has introduced the 5TB Backup Plus Portable, calling it the world’s largest capacity portable external storage drive. The Backup Plus Portable features the BarraCuda 5TB internal drive in a 20.5mm-thick aluminum case; it supports both macOS (with an NTFS driver) and Windows with USB 3.0 connectivity. Seagate announced the BarraCuda internal hard drive last month, and lists the 5TB model with data transfer speeds up to 140MB/s. At this capacity, the drive can store up to 600 hours of HD video, according to Seagate. The new Backup Plus offering will be available later this month in red, black, blue, and silver color options for $190.